Finger Skateboard has two main functions: on the one hand, when the weather is bad, skateboarding enthusiasts can use the finger skateboard in the indoor obstacles to the realization of the essentials of action, enjoy the fun of skateboarding; On the other hand, in the exchange of skateboard action and sophisticated technology, the finger skateboard became a good small props. The skater can study the glide route and the technical movement on the model by using the finger skateboard in the athletics competition. The finger skateboard looks simple, but it's not as easy to manipulate as a skateboard on a foot. 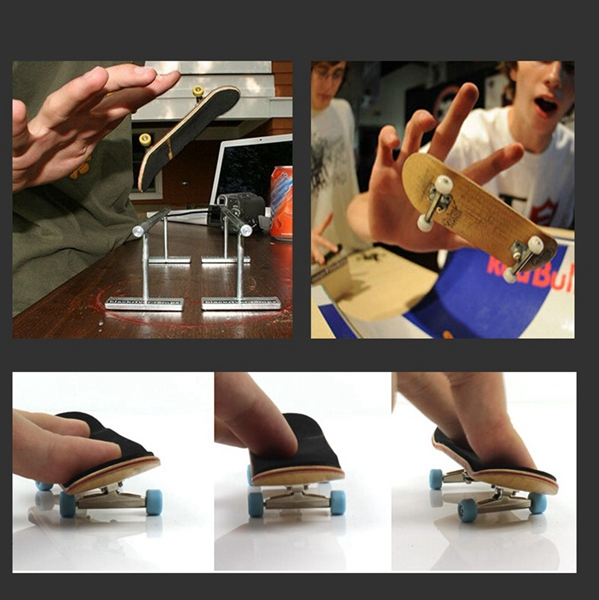 Playing the finger board depends on the flexibility of two fingers to coordinate with each other, the use of the friction of the board sand paper and the inertia of the finger board itself to drive it to make a variety of beautiful movements, can make 360Flip ' 50-50grind and other pattern movements and it occupies a small space, can be hung on the key ring or used as a mobile phone chain, You can even carve your own signature on it to show individuality, both stylish and beautiful. Also because of this, you can take it out anytime, anywhere to play, to pass the boring time, experience it brings the interest. With the increase of the number of finger board players, the charm of a small piece of the board gradually show, more and more people like the new game. 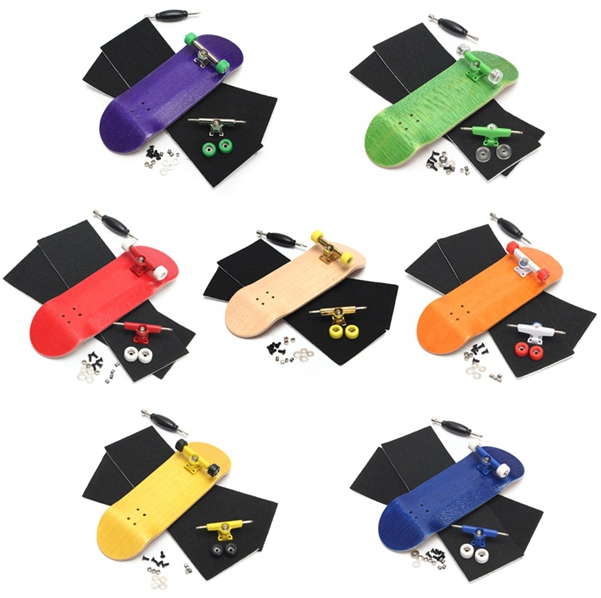 Whether the office staff, or students, there is no age of physical limitations, no need to wear protective equipment, just pick up the finger skateboard, you can start to play the personal imagination, in the desktop, books and so on all the props can be used to enjoy the finger plate and the fingertips of smart feeling. We have lots of other types of wooden toys such like Wooden Building Blocks, Wooden Toy Castle, Wooden Toy Cars and lots of wooden things, if you are interested in wooden products please don`t hesitate to let us know. We will be more than happy to assist you. 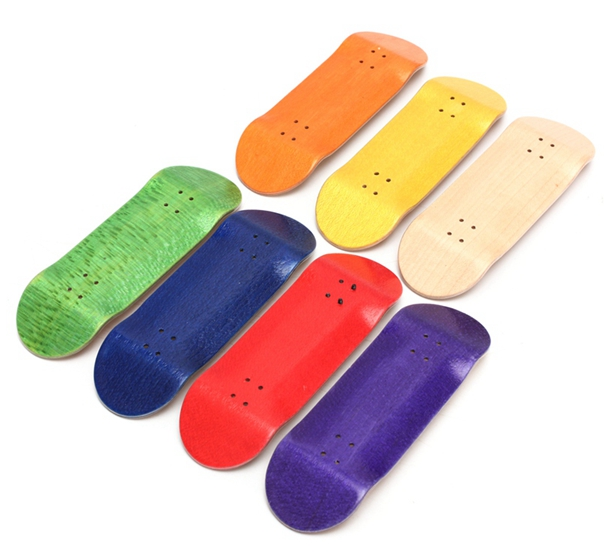 Looking for ideal Wooden Finger Skateboard Toys Manufacturer & supplier ? We have a wide selection at great prices to help you get creative. All the Alloy Wheel Finger Board are quality guaranteed. 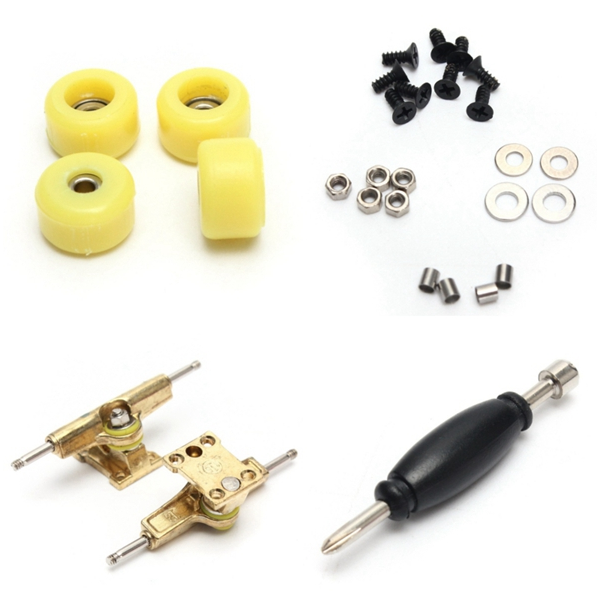 We are China Origin Factory of Fingerboard Mini Skateboard. If you have any question, please feel free to contact us.